The Hive Partnership and its AV rental division, London Speaker Hire (LSH), have become the first investors in Martin Audio’s new MLA Mini ultra compact multi-cellular loudspeaker array. 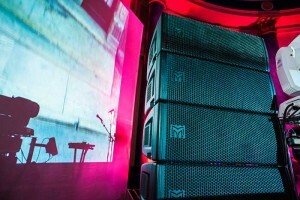 Having purchased four MLA Mini enclosures (plus MSX mini sub power plant) to cover each side of the stage, LSH immediately debuted the system at Le Book, a 2-day creative trade show at London’s County Hall, where two bands performed in the Rotunda in front of around 500 members of the creative industry worldwide. At the event itself, Turner says the acid test was when the sound engineer from Arthur Beatrice – Universal Music’s up-and-coming indie band — who had previously been specifying other front line systems on the rider, immediately requested a quote for MLA Mini. 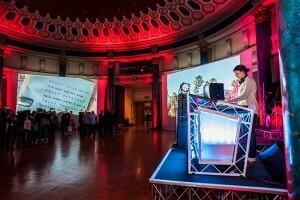 LSH had provided sound for eight rooms but it was the main Rotunda, where the gigs took place that provided the biggest challenge for MLA Mini. “Not only was it a circular domed room where everything had to be ground stacked, but the layout was very limiting due to floor-to-ceiling projections taking place as well as a conference during the day. Told they were unable to fly a system at just 24 hours’ notice LSH were able to quickly reconfigure their layout designs as the MLA Mini facilitated a nice ground stacking system, without compromise. In conclusion, he says the big advantage of MLA Mini is the number of different set-up options. 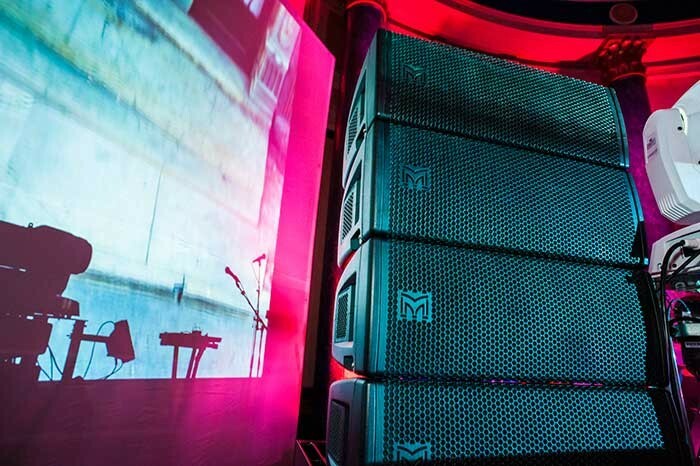 “Where you would traditionally need to use a flown line array in certain smaller venues, nearly all current systems are so large that they are impractical. With the MLA Mini we are spoilt for choice. The compact footprint means we can have a two-man set up on certain events whereas we would have needed double that. This in itself is an immediate cost saving towards ROI. Expect to see it at a number of high profile events and festivals that the Hive Partnership will be covering next year — notably one of the stages at Glastonbury.